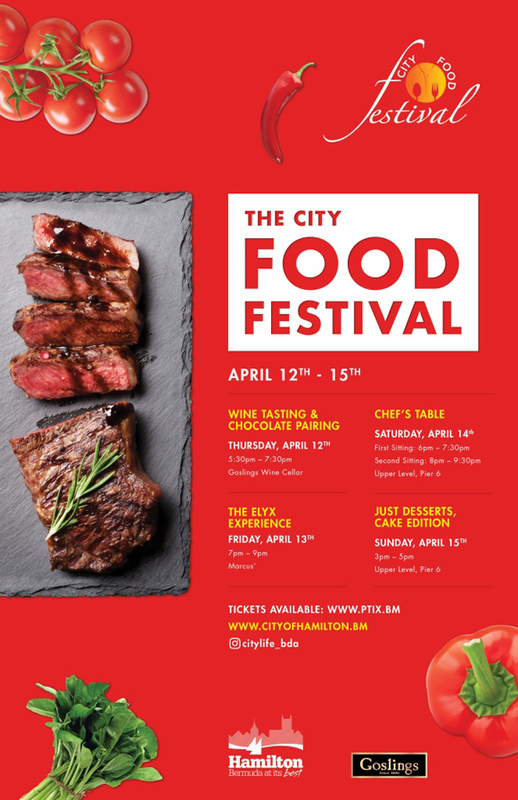 The City of Hamilton will be hosting the City Food Festival from Thursday, April 12 to Sunday, April 15. A spokesperson said, “The City of Hamilton is pleased to announce that 2018 will see not one but two Food Festivals in Hamilton. “The spring edition will take place from April 12 – April 15. “Events over the weekend will include a chocolate and wine pairing, an Absolut Elyx Experience, a Chef’s Table event and the ever-popular Just Desserts, Cake Edition. The City said, “The Chocolate and Wine Paring event speaks for itself – wine accentuates any meal and chocolate is no exception. Some say it can’t be done, pairing wine with chocolate, but if you choose the right wine to complement the right chocolate it can be a remarkable pairing experience whether you are pairing the sometimes subtle, creamy nuances of a delicate white chocolate or the lively bold tones of dark chocolate with a favorite wine. “Absolut Elyx is the luxury expression of Absolut vodka, the spirit that carved out a niche for itself by always doing things differently. By developing relationships with fellow cultural pioneers, Absolut vodka grew in stature and with its single-minded commitment to quality matched only by its passion for hospitality, it wasn’t long before this little ‘water’ from Sweden became the global icon it is today. “Born out of a desire to create a truly luxurious embodiment of this global icon, Elyx is forged from the same DNA as Absolut vodka. The Festival has worked closely with the Hamilton Princess and the chefs from Marcus’ to create the Ultimate Absolut Elyx Experience for ticket holders – a tantalizing 5-course dinner with paired vodka cocktails. Tickets to the dinner are $149, inclusive of gratuities. “The Chef’s Table event will showcase local chefs and their culinary skills as they prepare meals in an intimate setting for their guests. Inspired by current and classic culinary trends from around the world, the Chef’s Table menus are composed of seasonal ingredients and exciting culinary techniques. Our professional chefs from island-wide restaurants will provide hands-on instruction and support as groups work together to craft delicious appetizers. Settle into the kitchen counter for a communal dining experience while enjoying wine and spirts provided by Goslings. “Just Desserts is a fun-filled afternoon where you can sip wine, enjoy desserts, listen to music, and socialize with friends. 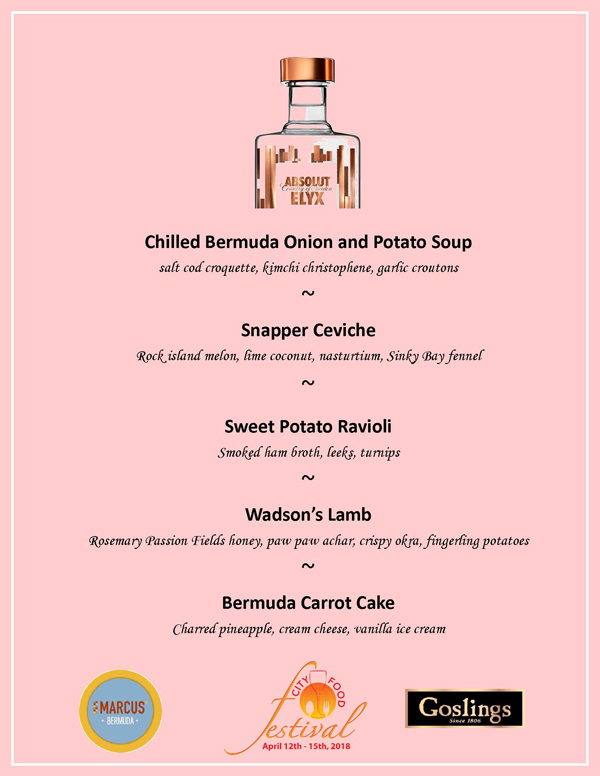 It is a showcase of over-the-top desserts created by pastry artists from bakeries and restaurants throughout Bermuda. 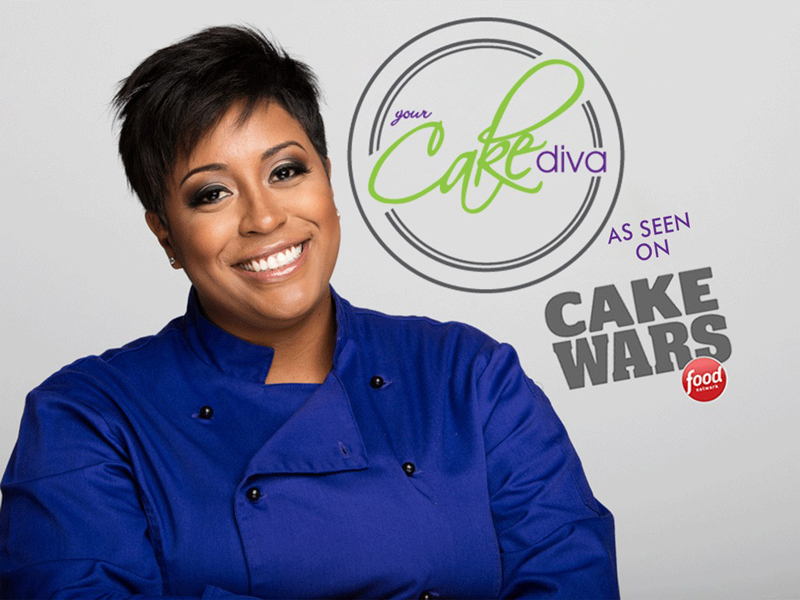 “The event will feature special guest, Your Cake Diva, seen on the popular Cake Wars. She has made multiple celebrity cakes for rappers, actors and actresses and more. She travels around the U.S. sharing her story and teaching other home bakers how to price, decorate and master the business aspect of running a home-based business. “She also speaks on how to increase business and achieve much needed work/life balance as an entrepreneur. Just Desserts, Cake Edition will feature plenty of sweet treats to sample.